What if a fallen tree damages my property? It is pretty dreadful to see a tree on your property break or fall. 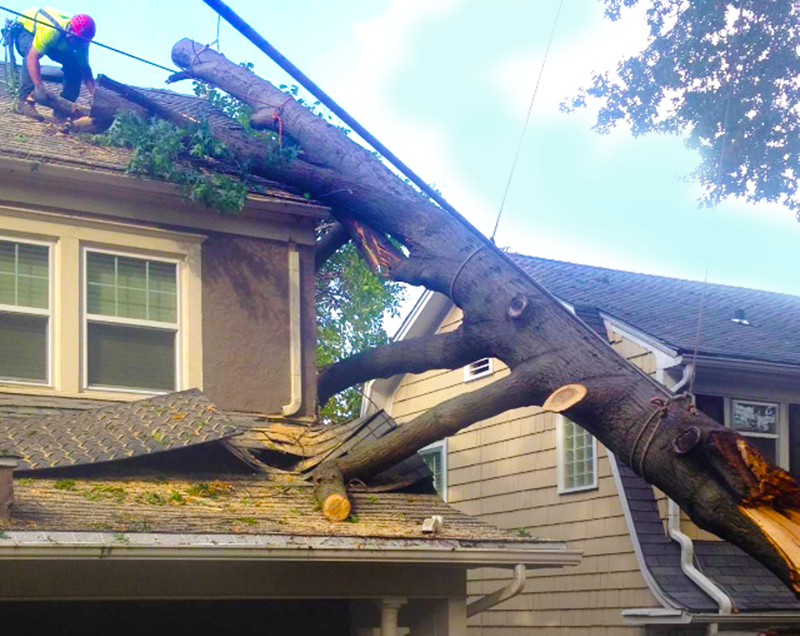 Then there is the worse situation of a tree or large branch falling to cause damage to part of your property. The good news is… Your homeowner’s insurance provides coverage for the damages to structures on your property. Whether the damage is to your house, detached garage, shed or the items inside these areas, coverage for the damage the tree causes is part of standard homeowner policies. If a tree causes damage to your car (whether on your property or not), then the comprehensive portion of an auto insurance policy is relative. Of course though, the ideal situation is to be proactive about preventing trees and branches from falling in the first place! There are circumstances when a fallen tree from a neighbor’s property can result in a reimbursement for your deductible. In a process called subrogation, your insurance company can try to collect from a neighbor’s insurance company, thus covering your deductible. This situation may be appropriate if the tree was not healthy or not maintained in a safe manner. Coverage may also be available for helping to clear and/or remove a fallen tree from your property. This is the case if the fallen tree is the cause of some damage to any structure(s) on your property. 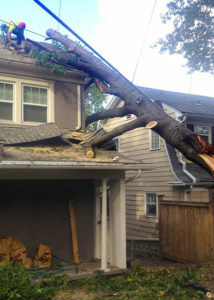 Realistically however, if the tree falls on your property but there is no damage to your structures as a result of it, then insurance probably won’t cover the cost of removing the tree. There are usually options from insurers that provide additional coverage to help protect your landscaping itself. So even if a tree falls and doesn’t damage structures on your property, this additional coverage would help replace the tree and/or surrounding landscape details. Talk to your insurance agent to learn more about protecting your landscape. Always read your insurance policies to know what to expect and to learn the conditions of any coverage to your landscape versus coverage for the structures on your property that may get damaged by trees in and around your landscape. And remember, Charter Oaks is available to help with emergency storm damage services. Charter Oaks Tree & Landscaping Co., Inc. CALL OR TEXT US 24/7 — We‘re here to help! © 2018. Charter Oaks Tree & Landscaping Co., Inc.